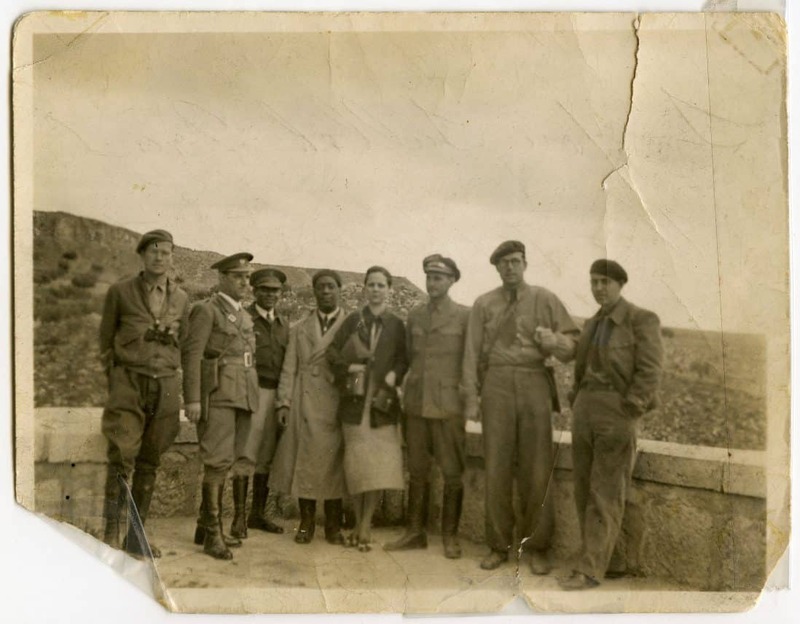 Members of the American Brigade, Spain, 1937. Credit: Jane Lazarre, "The Communist and the Communist’s Daughter," Public Seminar, September 6, 2017. Esther Cohen is a labor activist in New York City. Jane Lazarre, The Communist and the Communist’s Daughter: A Memoir (Durham: Duke University Press, 2017), 240 pages, $27.95, hardback. Jane Lazare has written a fascinating, intensely personal book about history, family, and the Communist Party in the United States. She knows this story well. Her father was an active Communist organizer, and this is a memoir of his life and hers, and the connections between them. Many writers look to their families as a source of material, of understanding, of a way to know the world. Lazarre, an elegant and evocative writer, has authored other books about the forces that have shaped her life, including works about motherhood, childhood, race, and social class, and now, she takes on the big subject of her father and the Communist Party. Jane and her father Bill experienced the Communist Party in New York City in very personal ways. Bill went by many names, reflecting the many worlds in which he lived. Born Itzrael Lzarowitz in 1902 in Romania, amid the pogroms in Eastern Europe, as the father of Jane, he was Bill Lazarre. Jane attributes this elegant nearly French surname to her mother, who died when Jane was seven years old, leaving Bill Lazarre with two daughters to raise. The year was 1951. Bill Lazarre was forty-eight. He had lost his brother, and his life had lost its path. Never a man of convention, Bill was a man of politics, of action, of a kind of belief that comes from certainty. For much of his life he was continually busy. In the 1920s, he was an organizer for the Communist Party and a knitter in a textile factory, supporting his young wife, a Russian immigrant and fellow Communist. His daughter defines him as a man of the people: “individuals he loved and the collective he lived to serve.” Marx and Lenin were his companions. One day in August 1928, he was arrested after delivering a speech in Columbus Square in South Philadelphia. Reading the transcript of his trial, Jane notes that even in court, he claimed two names: Israel Lazar and William Lawrence. Bill Lawrence was his party name, which he used for much of the rest of his life. He was convicted, and his sentence was upheld on appeal. The Supreme Court refused to hear his case, and he served a portion of his two- to four-year sentence. 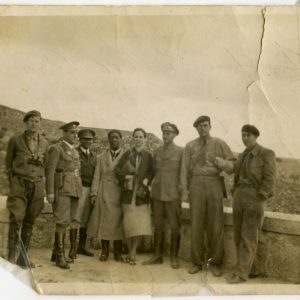 In 1936, when Franco’s fascist army invaded Barcelona and Madrid, members of Communist parties from around the world traveled to Spain to join the fight. Bill was among them, a volunteer with the Abraham Lincoln Brigade. From 1948 through the 1950s, the Communist Party in the United States changed direction. Fragmentation was inevitable. Lazarre described this turn as “a bad wind.” Bill achieved the title of Commissar of the Cultural Region, a vague demotion that nonetheless allowed him to continue his party work for a while. The rest of the book recounts his later life: a job at Merit Cleaners on the Upper West Side of Manhattan, his testimony before the House Committee on Un-American Activities, and his seven-year marriage to a woman named Maurine, the author’s stepmother, to whom she remained close until Maurine’s death, in her nineties. In later legal testimonies, Bill defined his profession as “spotter,” the name of his job at the dry cleaners. He was not deported or sent to prison. Instead he was hired by former Communist colleagues to work in a restaurant, and then in a factory. Both his daughters attended City College, and he too continued to study. But later Bill suffered from depression, and his daughters wondered what remained of his earlier life. He seemed to have lost so much. But had he?